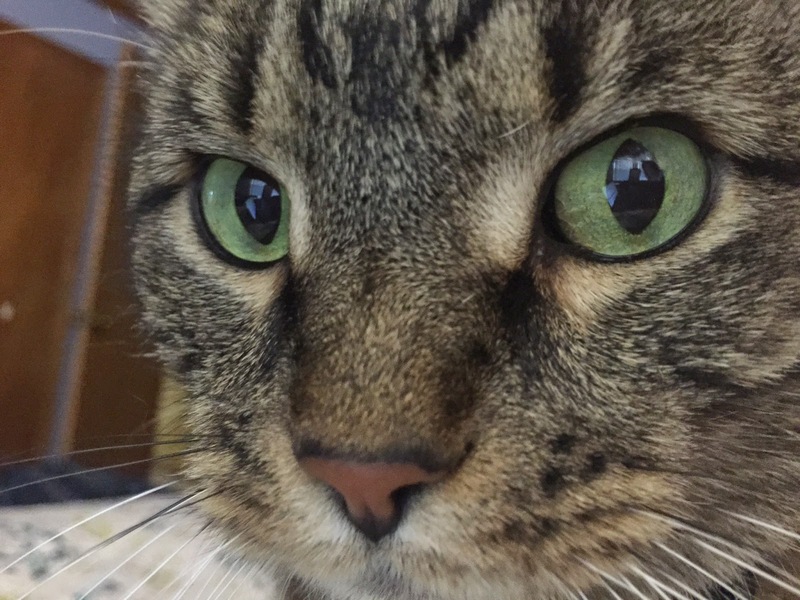 Gus: I'm on my own today for my selfie. The Mama is busy getting ready for something called a Kitten Shower. I don't get it. Are they putting the kittens in the shower to give them a bath? Do kittens come out instead water from the spouty thing? The Mama did say that Great Plains SPCA is expecting over a thousand kittens this season. All I know is there is going to be a party for it on Tuesday night and the Mama is busy making decorations. Tooty and Millie: Looks, Mr. Gus! We's helping! 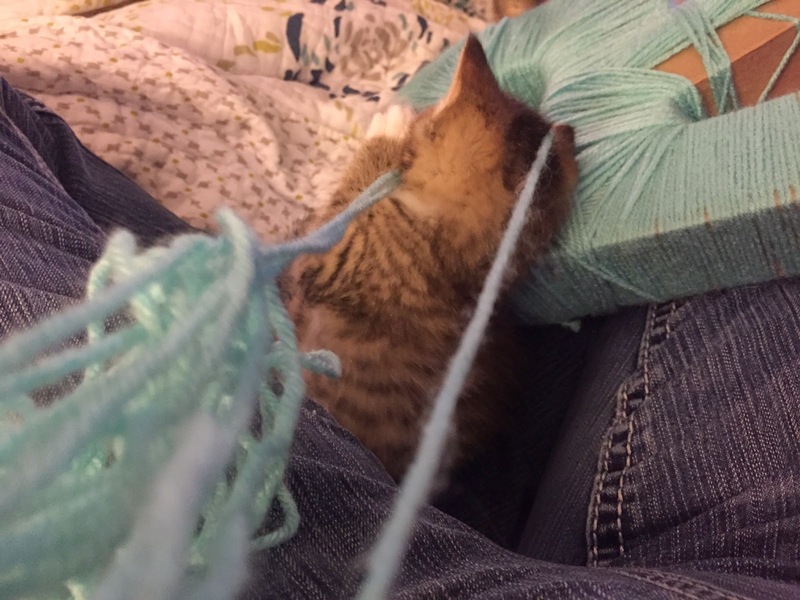 Gus: I'm not sure if the Mama would agree that you are "helping". 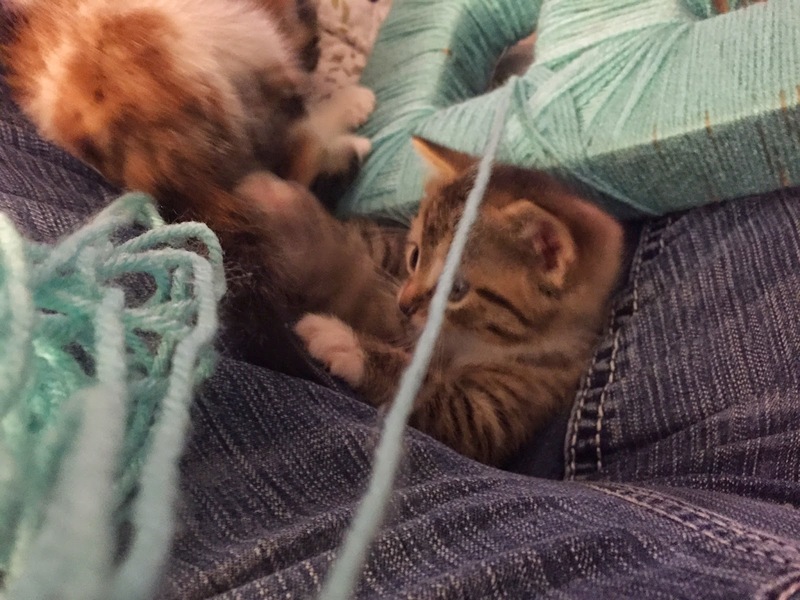 **Yarn is not safe for kittens. 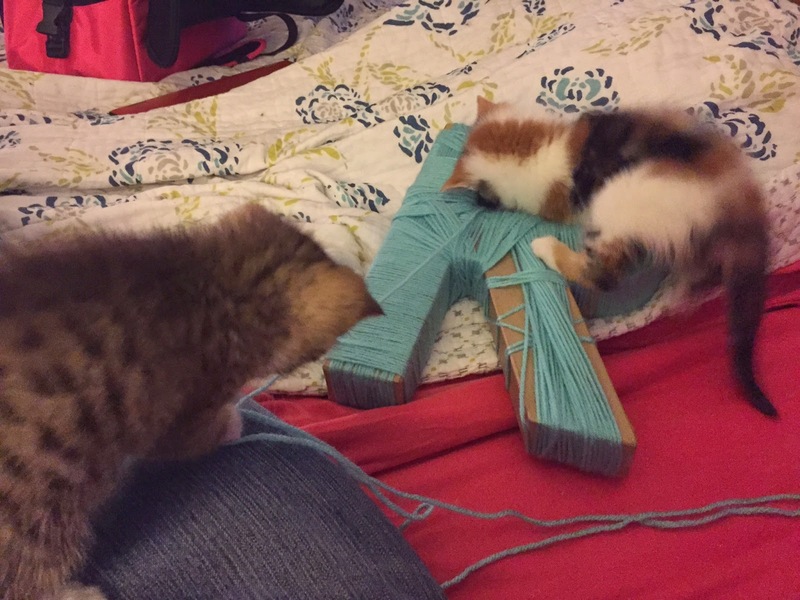 Do not let them play with yarn, especially unattended. 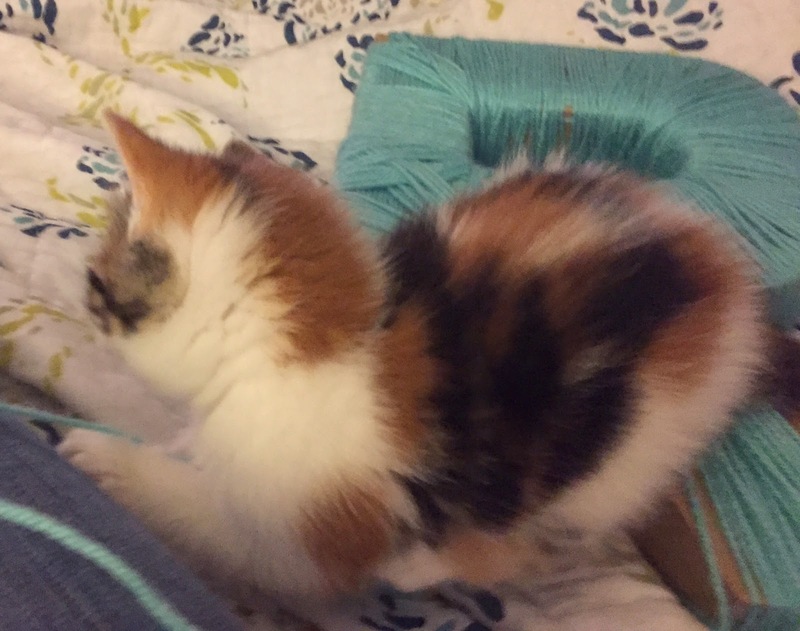 This is part of a blog hop hosted by The Cat on My Head. Hop on over and see the other entries. Good luck with the kitten shower- I hope you get lots of donations. I never heard of one until this year when one of our local shelters held one. Oh those kittens are so cute! 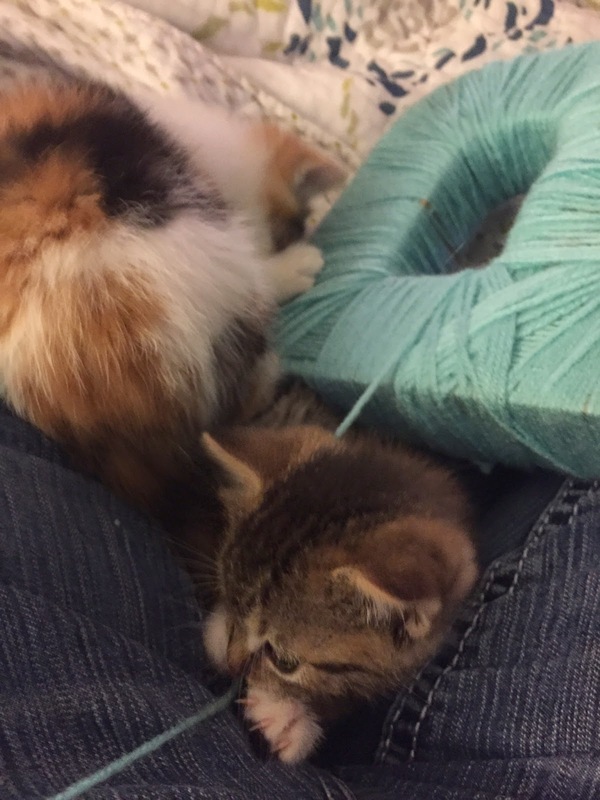 I think the kittens are being fantastic helpers. I hope the shower is a great success. Mum has project bags for her knitting. She left a skein out once and it disappeared for nearly a week!! We are catching up!!! Happy LAST Sunday Yeah we are SO LATE but we want to honour our promise to visit everyone!